Inc. magazine once called Peter Drucker “the North Star of mentors,” saying that his “generosity of spirit and his accessibility have surprised the raft of executives who have sought his counsel over the years.” But for most people, being a great mentor is neither easy nor straightforward. Lots of mentoring relationships go nowhere, devolving into halfhearted interactions that quickly flame out. With that in mind, here are 10 principles for being a better mentor, offered by executives who have been successful in such a role: Ask more than you answer. Recognize that mentees can be flakes. Set clear expectations. Don’t get bogged down by structure. Reach outside your department. Encourage the building of a board. Get buy-in from the top. Be ready to learn yourself. Know when to say no. And don’t be afraid to get personal. Early in our careers, many of us are eager to find a mentor to encourage, support and guide us through the wilderness of life. Then, at a certain age, many of us become mentors ourselves. In fact, those of us in positions of leadership are often thrust into the role of mentor, whether we like it or not. For the past 40 years or so, mentors have become a staple of office life, or at least office jargon. 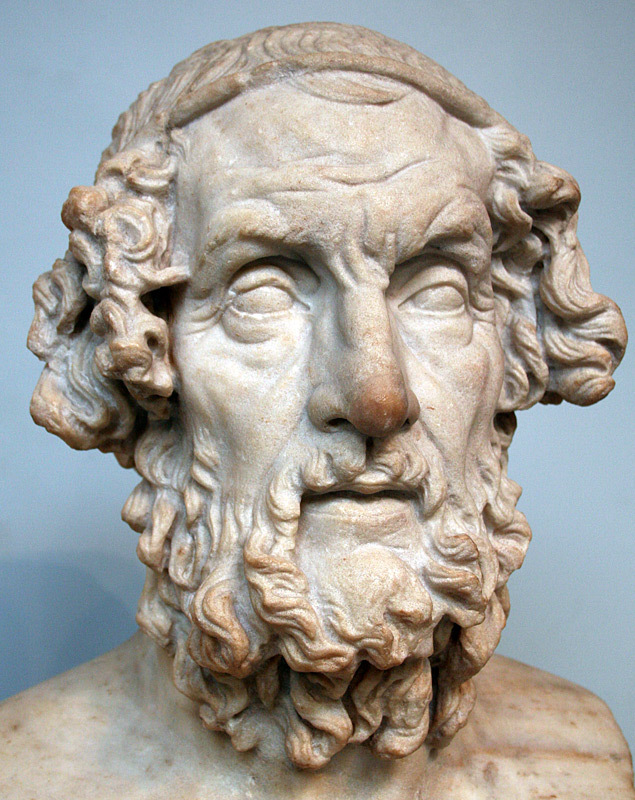 (We’ll skip the earliest appearance of Mentor in Homer’s Odyssey and later mentions in 18th century treatises like the Marquis Caraccioli’s “The True Mentor.”) In the 1970s and ’80s, “mentor” became a verb, and permutations like “mentoring” and “mentee” entered the language. Scholars have cited the publication in 1978 of The Seasons of a Man’s Life, a book by psychologist Daniel Levinson, as an especially influential event. Today, most organizations genuflect to mentoring—more than two-thirds of Fortune 500 companies have some sort of mentoring program in place. The Drucker Institute’s Phalana Tiller visits the Gaithersburg, Md., offices of Sodexo, which uses three fundamental principles to guide its mentoring program. Allan Golston of the Gates Foundation, shown here, notes that mentors must be conscious of modeling behaviors. If any of this sounds easy or straightforward, don’t be fooled; it’s not. Lots of mentoring goes nowhere, devolving into halfhearted interactions that quickly flame out. The complexities of the mentor-mentee relationship do not easily lend themselves to numbered rules in an office manual. Nevertheless, many mentoring relationships—whether formal or informal—also succeed. What do these successes have in common? We spoke to people involved in such experiences and have come up with 10 principles for you, as the mentor, to keep in mind. The instinct of many mentors is to swoop in and lay out all the answers for their callow charges. But the best of them push and probe, rather than pontificate. Remember, too, that when you do want to give more direct guidance, the best way is to do it by example. If it’s at all possible, show rather than tell. “There are few things more powerful than modeling,” says Allan Golston, who oversees the Bill & Melinda Gates Foundation’s efforts to help U.S. students graduate from high school prepared to do college-level work. On the face of it, mentoring arrangements look like they’re liable to sink or swim based on the availability and focus of the mentor. After all, the more senior person may well make a commitment but then fail to find the time to follow through. In reality, however, it’s often the junior colleague who flakes. At times, Dickinson adds, mentees may find themselves simply overwhelmed with everything they’re being taught. “It may take them several years to process what they have learned,” she says. The biggest trap managers can fall into is wanting the development to happen more than the individual wants it himself. For a senior executive, this can all be frustrating, even galling. But don’t be too hard on your mentee. Have you always matched your teacher in devotion? How well did you, at age 25, truly understand what was important and what wasn’t? “The biggest trap managers can fall into is wanting the development to happen more than the individual wants it himself,” says Carol Walker, who worked at the insurance company Chubb and the investor communications firm CCBN.com before launching her own management consultancy. “The mentor must ensure the mentee truly owns the process. Action plans should be initiated by the individual being mentored. Follow-up meetings should be driven by that same individual. “Ownership” isn’t the only thing that needs to be clear. So should your expectations about what mentees are supposed to do to ensure success. What kind of development plan do you want them to create? How will you know if they’ve followed through? If you don’t expect them to carry out a formal action plan, what exactly do you want them to learn—and how will you know if they’ve really absorbed those things? If your company has an official mentorship program, look to your HR colleagues to help you set the parameters of your relationship. “We did not throw people together and say, ‘Have at it,’” observes Sheila Forte-Trammell, who until she retired a few years ago was the leader of the global mentoring program at IBM. Yet even if your HR department provides only minimal support, it’s incumbent on you to monitor how your mentee is faring. “If you don’t collect data on how the relationship is going in the first couple of weeks,” Dickinson warns, things can quickly fall apart. While expectations should be clear, remain flexible. The best mentors know when to stray from the script. “Too much structure takes away the spontaneity and creativity and innovation that two people can bring to it if they’re not in such a regimented program,” Rose says. In Jensen’s view, mentoring shouldn’t be confined to weekly or monthly appointments. “When I need mentoring, I need it in the moment,” he says. Mentoring can have similarities to apprenticeships, in which a master passes on specific skills to a pupil. Some of the most effective pairings, though, stretch across departments or functions. Doing so can reduce potential competitive conflicts between mentor and mentee. It can also help open the mentee’s mind. “When you link and cross-pollinate, you create a fertile ground for diversity of thought,” says Forte-Trammell, who made “breadth” a major focus of the mentoring programs at IBM. Although you want to cultivate a deep one-on-one relationship with your mentee, urge him or her to find others to also lean on for advice and feedback. Certainly, having such a “personal board of directors” makes sense in a world in which your mentee—and you yourself, for that matter—may not be with the organization for too terribly long. 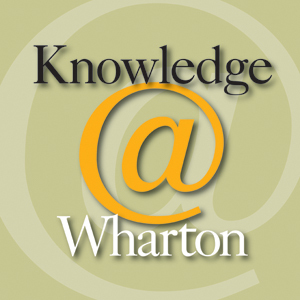 “With changes in direction, restructuring, downsizing, acquisitions, mergers and, of course, recessions, your mentor is just as likely to move on or be laid off as you are,” Priscilla Claman asserted in Harvard Business Review. Vicki Amon-Higa, who headed up leadership development rotation programs at the software company Symantec and the hospital system Sutter Health, advises everyone—even seasoned leaders—to have a personal board. She has one herself. “These are the people you can reach out to help you get where you want to go,” Amon-Higa says. Your colleagues, including those in the C-suite, are apt to applaud your mentoring young people in general. But once they see it pulling you away from other duties, they may well be less enthusiastic. Even informal mentoring requires leadership support. Golston credits his mentor Patty Stonesifer, who headed the Gates Foundation until 2009, with consistently exhibiting and encouraging nurturing behaviors. Even in organizations with formal systems in place to support the development of their talent, leadership buy-in is necessary to make it work. “I’ve seen organizations where you have those enablers, but leadership wasn’t aligned with it,” Golston says. Some organizations recognize that it’s younger workers who have something to teach their older colleagues—new social trends and technologies, for example. That’s why Jack Welch famously set up a “reverse-mentoring” program when he was chief executive of General Electric. But even in the absence of this kind of initiative, your mentee should be putting you in touch with your own organization, giving you an ear to the ground at a point in your career when you may be operating at a remove. If you’re ready to drink it in, you may well take away the most in terms of new knowledge. Bob Buford started out simply seeking business advice from Peter Drucker, but their relationship evolved into a true friendship—a key aspect of the best mentoring. Even if you’ve been an excellent mentor in the past, there may well be moments in your career when you should refrain from diving back in. Every executive goes through patches when they find themselves too preoccupied with a big project or crisis to be a very good sounding board for anyone else. That’s probably a time when you should find a well-suited peer to take your place as a mentor. “I leave it to mentors to self-select,” says Dickinson. 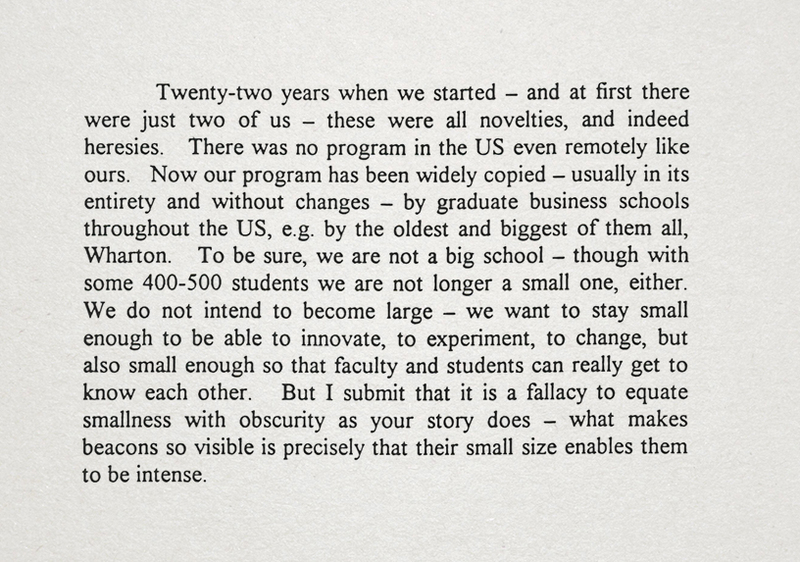 Others, meanwhile, may never quite be good fits as mentors—and they shouldn’t be shy about admitting that. All of us have different strengths, but not everyone has the temperament and altruistic instincts to be a great mentor. “It’s always easier to select the right people than to change the way they work,” says Amon-Higa. Ford Harding, who has long studied “rainmakers,” says it’s only natural to want to turn these wonder-workers into mentors. What organization wouldn’t want their protégées to learn how to emulate them and bring in outsized shares of revenue? But most rainmakers, Harding cautions, are lousy teachers. For starters, they are generally too busy making rain. In addition, they tend to do a lot of their work on the phone, making it hard for a mentee to peel back what’s really happening. Rainmaking techniques also vary from person to person, yet each rainmaker tends to think his or her way is the only way. Even an exquisitely structured mentoring program is dependent ultimately on chemistry. James Hayden, a partner at the New York law firm White & Case, has been a mentor to younger attorneys—so impressively that his efforts were chronicled in Harvard Business Review. A true mentor is comfortable, when appropriate, taking a business relationship beyond business. That was the experience of Bob Buford, a cable-TV pioneer and social entrepreneur who in the early 1980s decided to seek out a consultant by the name of Peter Drucker. What Buford got in the bargain was far more than he expected: a mentor who left him “enriched beyond any measure I could have imagined” and who “cared as much for me as a fellow human being as he did for me as a young, ambitious entrepreneur.” So close did the two men grow that Drucker was among the first to call when Buford’s son died in an accident at age 24. As in all the best mentoring relationships, the affection and esteem went two ways. “I cannot even begin to tell you what your confidence in me and your friendship has meant for me,” Drucker wrote. A great way to begin your relationship with a mentee is to share Peter Drucker’s classic essay, “Managing Oneself,” which asks people to identify their strengths, how they learn and best perform, and their values. If you are a corporate executive, look to be a mentor at a nonprofit—or vice versa. You will be able to provide a new and valuable perspective for your mentee, and rejuvenate yourself in the process. The next time you are with your mentee, be sure to hold your calls and don’t check your email. You have been given a tremendous trust. It’s important that you act like it. In this 1995 fax to Carolina Biquard, an Argentinian social entrepreneur being mentored by Peter Drucker and former Girl Scouts CEO Frances Hesselbein, Drucker makes clear that one of the great things about being in this role is that he gets to learn as much as he gets to teach. 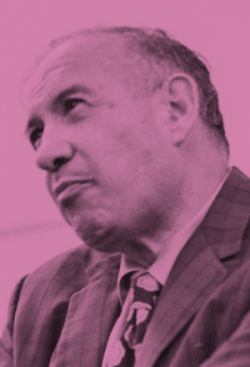 The original document is held by the Drucker Archives, a part of the Drucker Institute. 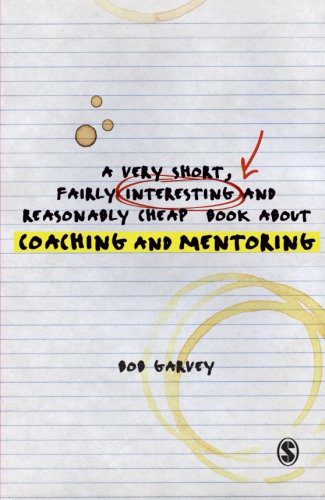 In this admirably titled (although perhaps not so cheap, at $27 in paperback) book, Bob Garvey, a professor of business education at York St John Business School, offers a history of mentoring, examines the difference between mentoring and coaching and brings the reader up to speed on some of the latest discussions about mentoring in different organizations. Mentoring has not changed in its fundamentals, but it has changed in its specifics. In this article, we get an overview of some of the latest thinking about mentoring among management professors. Among the insights: The supervisor-subordinate model is giving way to different sorts of pairings. Mentees are increasingly expected to connect with a number of people rather than one. And formal mentoring programs often aid in increasing employee retention. It was a friendship that the author himself describes as unlikely. 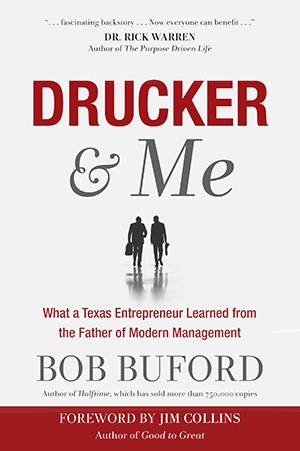 Bob Buford writes that he and Peter Drucker were hardly similar on the surface: “One of us spoke English with a heavy Austrian accent. The other spoke Texan. I owned a cable television company. Peter didn’t even own a television.” And yet the two men saw their relationship blossom from one of business consulting into one of true mentorship—a relationship based upon teaching and affection. The insightful questions posed by Drucker led Buford to new and crucial answers about his business and his life.